A savings plan which did the rounds on social media earlier this year, could work to help bolster savings, say financial planners. The 52-week savings plan starts off with individuals putting away R10 in the first week. They then have to increase the amount they put away in subsequent weeks by R10. Essentially, by the fifty-second week they will have to put away R520, bringing their total savings for the year to R13 780. Fin24 put out a call on social media to find out if the plan has been working for readers. A Twitter user @NtlatlapaBokang “horribly failed” at following the plan, while @lethusangm1 lamented that people had no money to save and returns of R13 780 are only realised in the last week of the year. “Electricity and fuel have become demons...! Rather teach us how to make passive income that will pay that much in a month,” he tweeted. 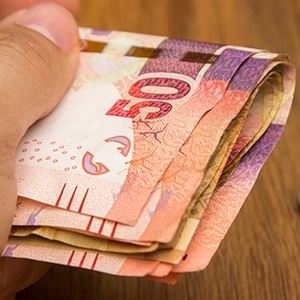 Anthony Field-Buss of registered financial services provider 3byTwo Financial Planning said the savings plan is a “brilliant concept” as South Africans do not save enough. As for the practicality of the plan, Field-Buss said it depends on how much an individual earns and how much they have left after paying off their financial commitments. 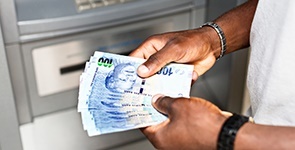 It could be easy for low income earners to put away the initial R10, but it would become challenging as contributions become steeper for the remainder of the year, he pointed out. He also explained that it is important to bear in mind the vehicle being used to save the money, for example is the money placed in the money market, a regular bank account, or just an envelope? It is also important to consider how the funds will be transferred to the relevant account as bank charges differ for say a debit order or EFT. If for example you do a debit order for R10, and if the debit order charge is R10 then the exercise is futile, he explained. He also pointed out that some asset managers do not accept transfers lower than R500, for unit trusts especially. An individual could accrue the money and at the end of the year use it as a lump sum for an investment. Field-Buss advised to ensure that there are good returns from the investment, to cover the fees charged. He added that if he had to follow the plan, he would use a savings account and once a “sizeable amount” is collected, he would start looking into placing the funds in unit trusts. Rita Cool, a senior consultant at Alexander Forbes likes the idea of the savings plan. “It teaches financial discipline and gets you into a habit of saving. It might become a bit difficult towards the end of the year, especially if you think that in December you are probably wanting to spend the money instead of save it,” she said. Cool said that if you have debt it is better to put the extra funds you have toward paying off debt before you start saving. * It's National Savings Month. Do you have a successful savings plan or story to tell? Share it with us nowand help others to also become Savings Heroes. For more on savings visit our special Savings Issue. No matter how small an amount one saves every month, it's a saving. 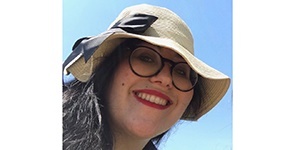 I soon came to dislike malls, where I only saw loud advertisements trying to entice me to buy more, writes Tehillah Niselow.